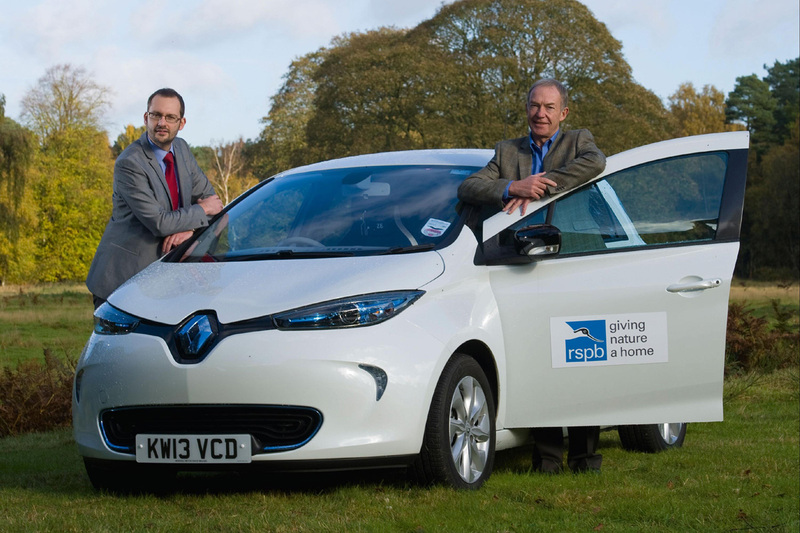 Renault’s multi-award-winning electric supermini ZOE is now flying even higher after being adopted at the RSPB’s headquarters. 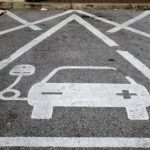 The French brand’s flagship plug-in has recently been paired with the charity’s other electric Renault, a Kangoo Van Z.E, at its Bedfordshire base near Sandy, to help reduce its carbon footprint even further. The RSPB (Royal Society for the Protection of Birds) believes climate change poses the single biggest threat to the long-term survival of birds and wildlife. As such, it recently submitted a planning application for a single wind turbine on a field adjacent to the headquarters at The Lodge. 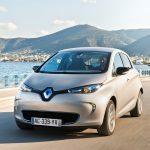 In the future, energy created on site could be powering the new ZOE and popular Kangoo Van Z.E. renewably. Mr Waller said its 300-vehicle strong fleet operations is an “obvious area” where reductions can be made and the new ZOE Expression in Arctic White, is already having a positive impact. “The operational success of the two electric Kangoo Vans, one being in London, definitely influenced our thinking when considering the ZOE. As a charity with limited funds, the price point was another positive factor in our decision. 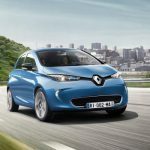 The trailblazing Renault ZOE arrived on the scene in June this year to much industry and media acclaim. The flagship of the French brand’s four-strong 100 per cent electric vehicle range is stylish, affordable and incredibly versatile – perfect for commuting and for businesses who want to downsize their engines and carbon footprint. It boasts a series of world firsts, including the aptly named Chameleon charger, which can adapt to all power levels from 3kW up to 43kW. Charging batteries up to 80% at a charging station can take from as little as 30 minutes, using a Rapid Charger 43kW AC power source. 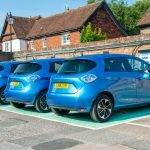 ZOE is the first affordable car for everyday use designed from the ground up as an electric vehicle, with the longest range of any pure electric vehicle this side of a £50,000 Tesla. Its official range is 130 miles (New European Drive Cycle) with a real range of between 90 miles in temperate conditions and 64 in cold. 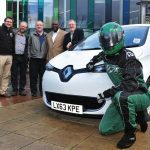 It starts from £13,995 (after the UK Plug-In Car Grant), comparable to a diesel-engined supermini alternative, with the added bonus of a free domestic 7kW Wall-box, supplied and installed by its preferred electric vehicle charging partner, British Gas, plus a national network card giving access to a UK network of hundreds of charging points until 31st March 2014. Battery hire costs from £70 per month and as part of the contract comes a battery performance guarantee which commits to a minimum 75% of its original charge capacity, or else it will be repaired or replaced, plus full 24/7 roadside assistance, even if you run out of charge.